I want to thank everyone for your response. I have contacted two vendors and will call others. Both the VIN and the F1217CQ are the same font size on the block, is this correct? I've had the car two years and because of a medical set-back, I am only now starting to be able to supervise (watch) as friends help. Would someone post a pic of your VIN tag, with the last numbers covered, of course. I'm not paranoid enough to cover my vin, but here's mine on the door. Your motor build code is about the time they started putting the vin on the block and on the steering column, so I guess it could go either way. Well, now you can say you know someone that has. I had my old tags to compare after they made the new ones and they were spot on. I agree with you, however that is not the way many look at it in the hobby which is sad. Everyone is looking for an excuse to grind you down on the price when you have it for sale. Your VIN tag would have been stainless steel. The early 60 VIN tags that are mounted in the door jams are aluminum. Here are a couple of stainless steel VIN tags for 1960. I am not attesting to the authenticity of any of these tags. Last edited by emccomas; 03-09-2018 at 07:11 PM. Be aware though that those are made of stainless steel and the correct tags for early C1's were aluminum if you want original . They used those stainless tags on passenger cars. Last edited by bj1k; 03-09-2018 at 07:15 PM. Be aware though that those are made of stainless steel and the correct tags for C1's were aluminum if you want original . They used those stainless tags on passenger cars. The tag material was changed from aluminum to stainless steel in 1960 when the tag was moved from the door jam area to the steering column. Early 1953 tags are stainless steel (up to about VIN 15 or so). The rest of 1953 through early 1960 (tags in door jam area) are aluminum. Tags mounted on steering columns are stainless steel. 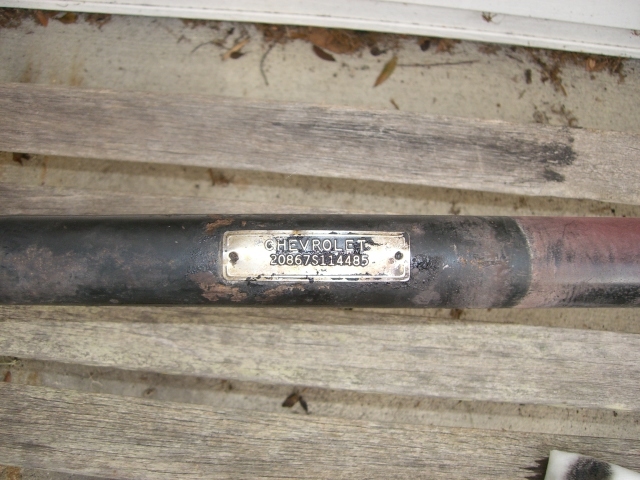 It is real tough to spot weld aluminum to a steel steering column. Last edited by emccomas; 03-09-2018 at 07:18 PM. Thanks for the pics of the VIN tags, now I have something to compare to the repos. Some repos are hand stamped, not what I'm looking for. 2) find someone to do the correct size embossing in the correct location on the tag. Embossing on stainless steel is a little harder than aluminum. I am not attesting to the authenticity of any of these tags. One is obviously different from the other. With proper documentation I don't believe its the greatest sin on earth. Certainly any car I have wouldn't be the million dollar example, closer to driver status, which fit more into the user hobby category. 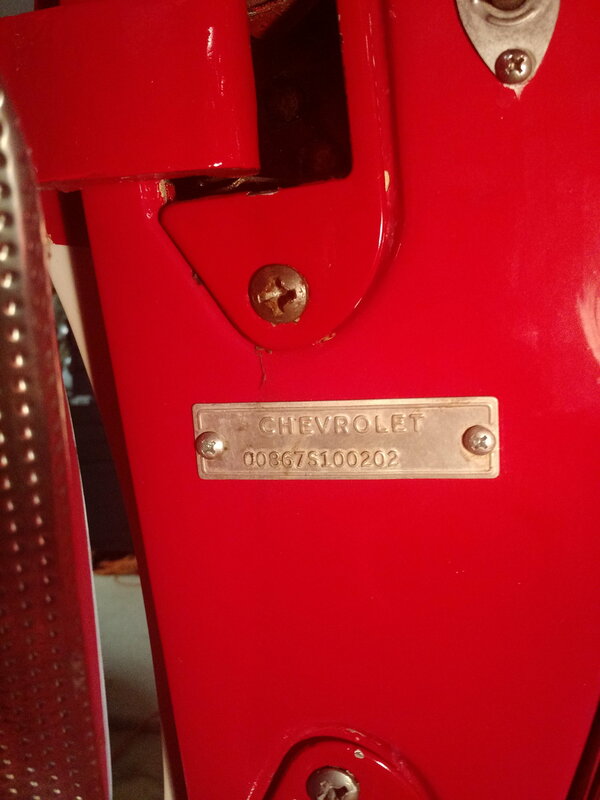 On old Corvettes, yes, the tag is scrutinized to level ten. No one would pay market prices if the identification was in question. Mine are all in place. I have viewed C-1s with steering column tags missing. Not unbelievable. I have a similar problem. Years back I bought a 70 Pontiac tempest hardtop. Western rust free body, no drive train. Has the vin plate attached but paper title was lost. It should have a secondary VIN stamp at an undisclosed location. From what I understand some western states had " pink slips " rather than an official title as we know it today. These may have been easily lost, folded in wallets for that instant vehicle trade or many additional reasons. My jurisdiction would only consider a state assigned vin and replacement title. Not that a 70 Pontiac is a gold standard car but what is the big deal ? Inspect the car with no visual tampering on the vin plate, charge me for a stolen or prior owner search, and issue me a title marked replacement. A two thousand dollar car should not create a five thousand dollar headache by changing the manufactures ID to a state assigned number. Either way there is paper work for an original filing if it comes to that. I could see someone who really admired the rust free status probably a first high school driver buying the car, switching the vin from his rusted wrecked example and be perfectly undetectable. Old expensive mopars have VIN tags with screws. Many keep their tags in a safe if they have rare options. How many of these have been switched to rust free examples ? Some are profit driven, others just seek an original car with proper vintage paper work. The experts will always know. Please elaborate, which one sticks out as different than the others, and why. Look where the VIN number starts. Some are directly in line below Chevrolet. 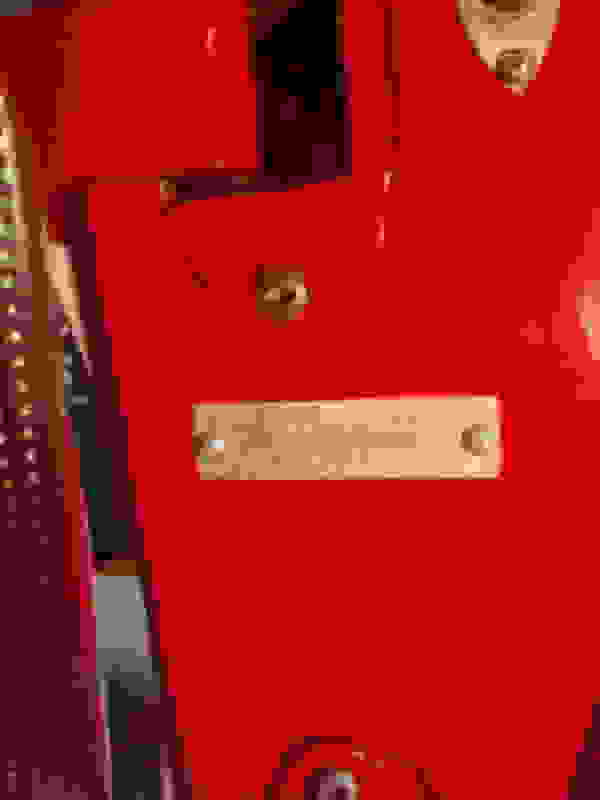 Other tags start one space before or several spaces before not in line with the name plate. An original tag will display if they have a mutual starting point or centered on the tag. Space between lines also tell tale. The lettering size looks normal. All appear to be stainless. Hope this helps . A detail to include when you order. I am still not sure what tag you have an issue with. So let me start...look at the tag for 8754. 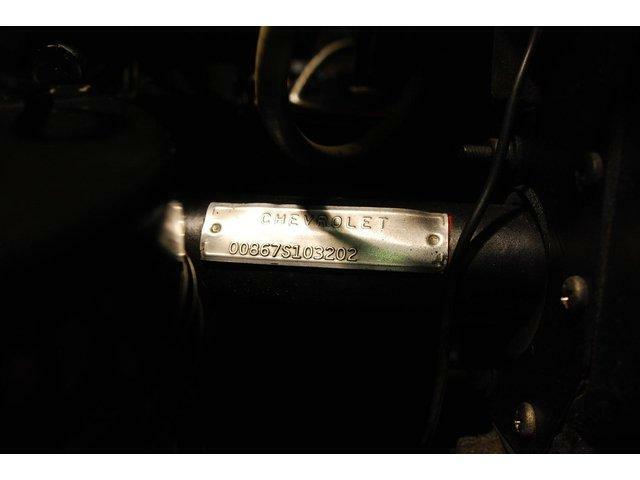 Look at the V and the O in Chevrolet. Compare the V where the two legs come together. Notice how the other three tags have a wide, sort of filled in area, and 8754 is not that way. Now look at the O. Notice that the O on tag 8754 is round, the other three tags have an oval shaped letter O. 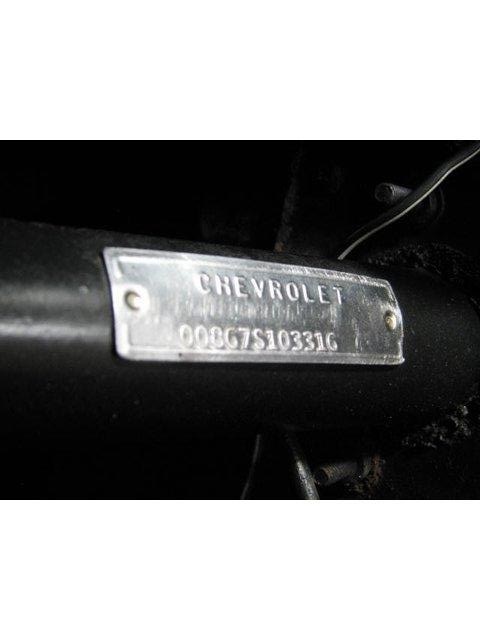 Last, look at the position of the VIN numbers relative to the word Chevrolet. With that explanation I must go and look at my VIN tag thanks! This one looks good too me ! 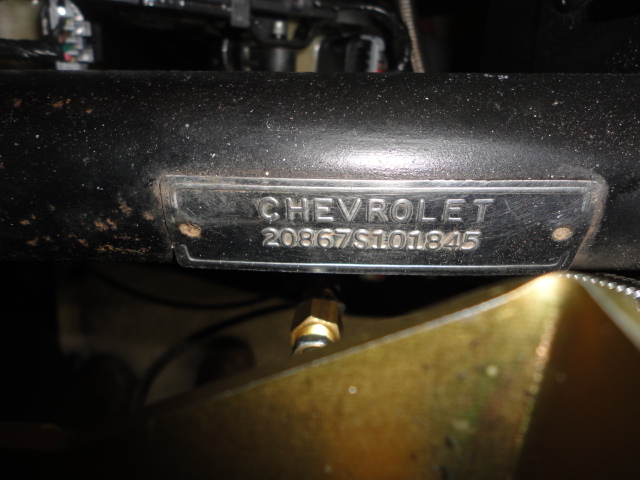 I think that Chevrolet had more than one stamping machine and set of stamps over that time period (especially stamping harder stainless steel vs. the previous aluminum vin plates). Plus different stamping operators (not every operator is going to line up the lines perfectly). Last edited by Plasticman; 03-10-2018 at 05:55 PM.